The all-new, second-generation Audi R8 V10 Plus – the fastest, sharpest, and most powerful production Audi of all time – has finally hit local shores. Designed for maximum driving dynamics, the all-new Audi R8 V10 Plus is one of the last supercars to be powered by a naturally-aspirated engine, shunning the forced-induction route in favor of a pure, unadulterated high-revving masterpiece. 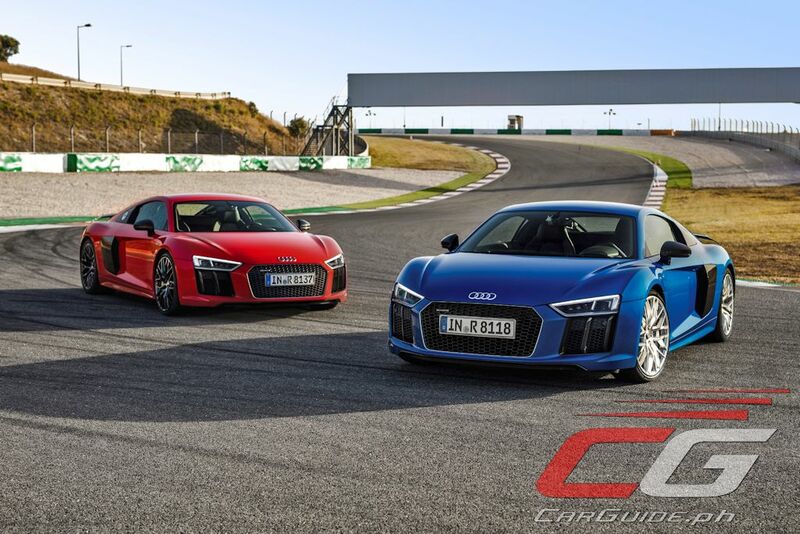 The previous model was already the dynamic vanguard of the brand – and this applies to the second-generation Audi R8 even more. The newly-engineered supercar has been made even tauter and stronger, both on and off the race track. Embodied in its DNA is expertise acquired in the numerous car racing successes that Audi has achieved over the years, primarily in endurance racing events. The sport prototypes have won the 24 hours of Le Mans 13 times since 2000, while the R8 LMS contributed seven more overall victories in 24 hour races since 2009. 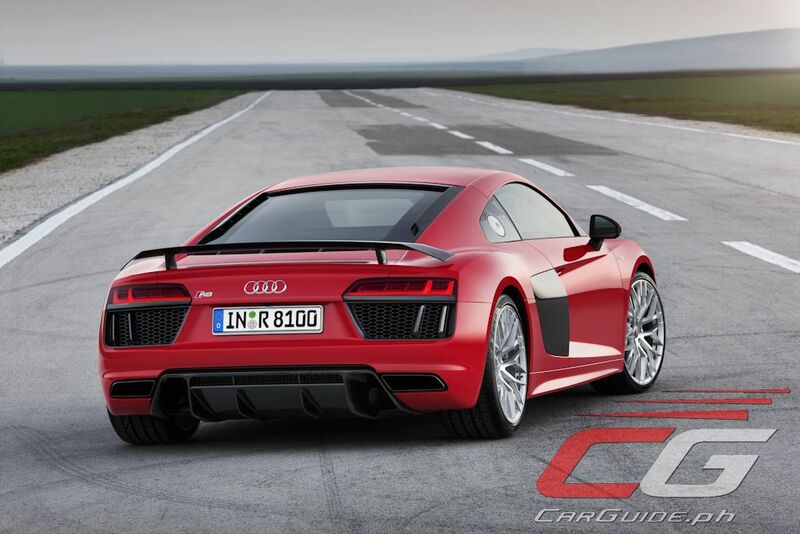 The all-new Audi R8 V10 Plus is right among the leaders in the world of high-performance driving. 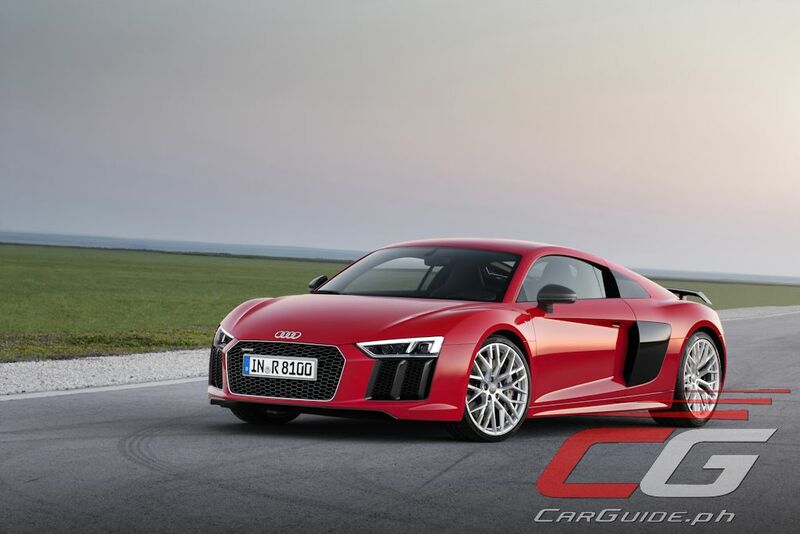 With a naturally-aspirated 5.2-liter, 40-valve, V10 engine that delivers 610 horsepower and 560 Newton-meters of torque, the all-new, second-generation Audi R8 V10 Plus rips the tarmac in true quattro all-wheel drive fashion. This high-revving powerhouse is mated to a 7-speed S tronic dual-clutch transmission, and reaches a staggering 8,700 rpm. The Audi R8 V10 Plus is civilized at low speeds, yet visceral and earth-shattering when the accelerator is mashed to the firewall. Responding instantly to throttle inputs, it will go from 0 to 100 km/h in a neck-snapping 3.2 seconds, and will go on to a top speed of 330 km/h. The lightning-quick-shifting 7-speed S tronic dual-clutch transmission works in conjunction with an optimized mechanical differential lock, as well as a new electro¬hydraulically-activated multi-plate clutch. The actively-cooled all-wheel drive system can distribute torque freely between the axles, while the intelligent dynamic control system for the quattro drive is incorporated into the Audi drive select handling system that offers four basic modes. In each mode, the all-new supercar expresses a different character – from relaxed highway cruiser, to race car on the track. In its performance mode, it offers three additional modes: dry, wet, and snow. These modes make handling even sharper and more precise, tuned to the friction coefficient of the specific road surface. As for the exterior, its full-LED headlights – which Audi pioneered with the first-generation R8 in 2008 – along with its large air inlets with vertical fins, flank the wide, low-profile Singleframe grille, giving the supercar a strong, sculpted look. The rear, on the other hand, is defined by the diffuser, the ventilation screen of the engine compartment, and as standard in the V10 Plus, a carbon fiber-reinforced polymer (CFRP) fixed wing. 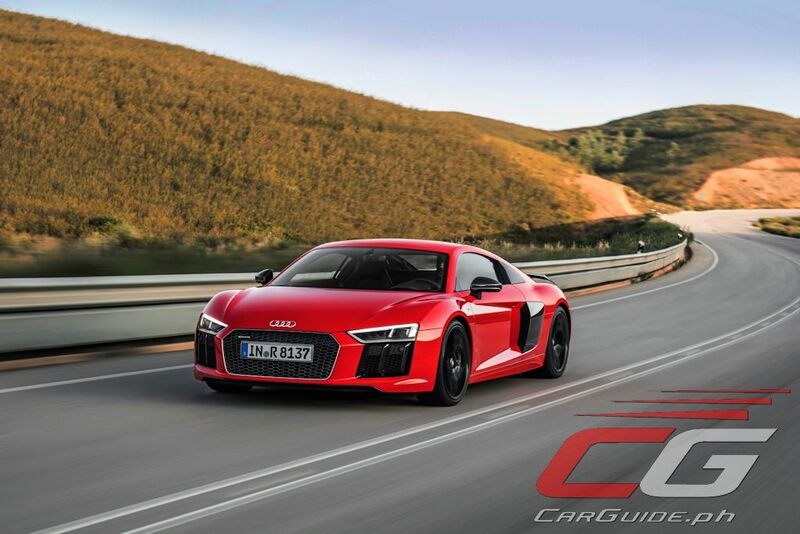 For maximum stopping power, the R8 V10 Plus comes equipped with 380-millimeter carbon ceramic brakes with six piston calipers up front and four-piston ones at the rear, and is finished off with 20 inch wheels with 245/30 tires in front and 305/30 at the rear. 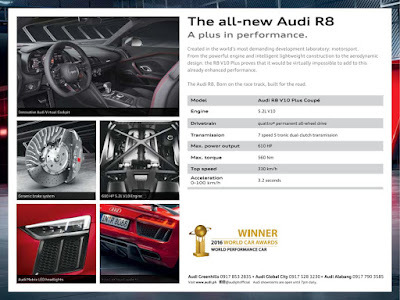 As with the previous model, the all-new R8 also has a body that is constructed using the Audi Space Frame (ASF), which is synonymous with extreme lightweight design. Made of 79 percent aluminum and 13 percent carbon fiber-reinforced polymer (CFRP), it weighs just 200 kilograms – which is ten kilos less than before – thanks to a concept being used at Audi for the first time. Large components of the occupant cell consist of CFRP, while the front and rear body modules are built exclusively of aluminum. 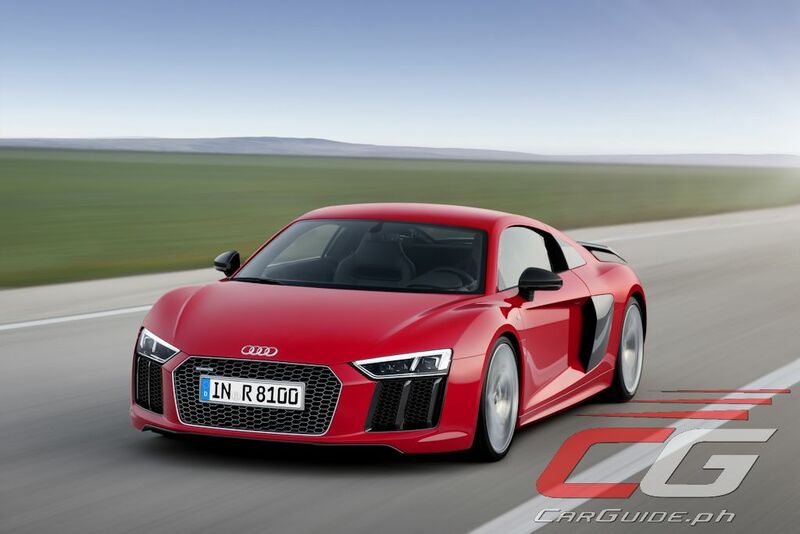 The all-new, second-generation R8 V10 Plus weighs in at 1,555 kilograms – while the first-generation R8 V10 Plus was at 1,673 kilograms – making the all-new, second-generation R8 V10 Plus 188 kilograms lighter than its predecessor. This new multi-material ASF forms the basis for the lightweight design concept of the all-new R8. In this lightweight design strategy, Audi used an intelligent material mix that is in line with its motto, “The right material in the right amount at the right place.” CFRP was used where it can attain better results than aluminum, and these are for the rear wall, the center tunnel, and the three-part B pillars. These large components, which are produced in the efficient resin transfer molding (RTM) process, form the high-strength backbone of the ASF that is nearly torsion-free. 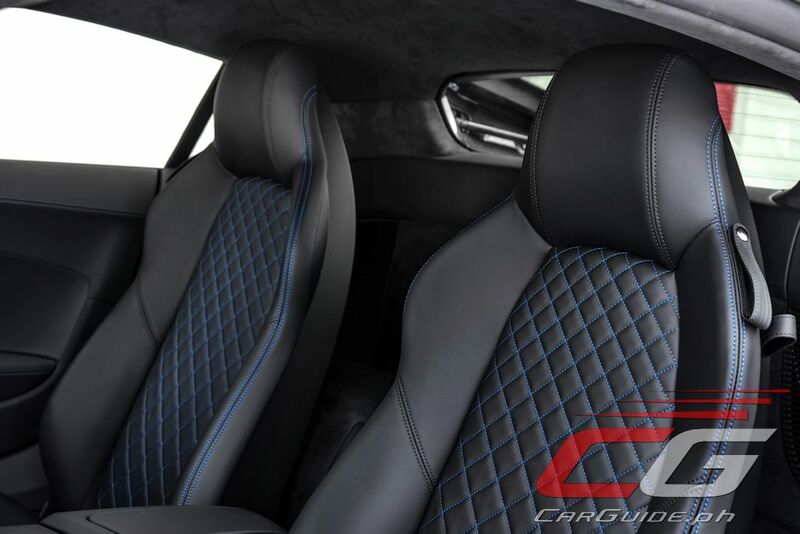 Just like in a race car, the interior of the R8 V10 Plus is focused on the driver. The driver can read all important information at a glance from the Audi virtual cockpit, a technologically-advanced instrument cluster that is user configurable, and shows all displays in elaborate 3D graphics. If desired, it can display one large rev counter, along with auxiliary gauges that show much more information, such as tire temperature and torque output. 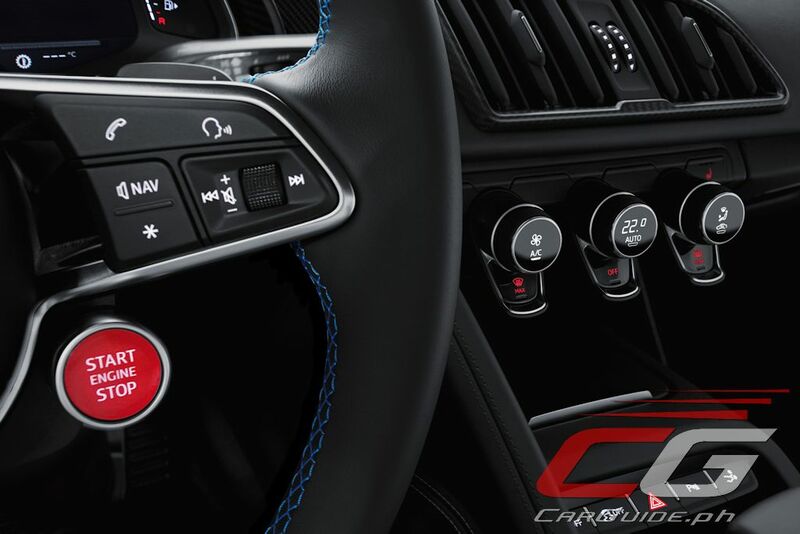 On the other hand, the steering wheel, the instrument cluster, and the road all line up along one central visual axis. Drivers can operate all important functions with the satellite push-buttons on the steering wheel, never needing to look away from the road. Moreover, MMI Navigation Plus with MMI touch, the high-end media center designed to follow a simple operating logic, is standard equipment. No other production car with the vaunted four rings is as powerful, fast, or distinctive. And nothing delivers its power like this naturally-aspirated supercar does. 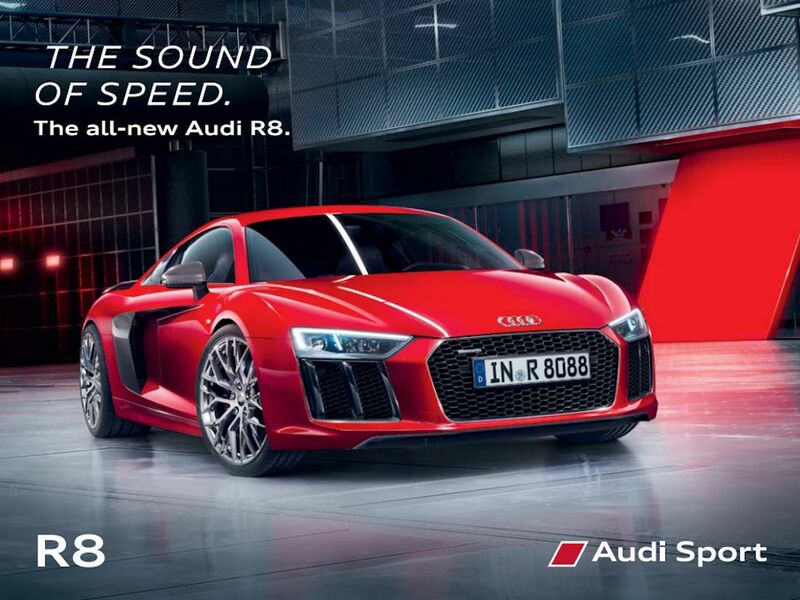 The Audi R8 V10 Plus is now available at all Audi showrooms located in Greenhills, Bonifacio Global City, and Alabang. It retails for P 17.8 million pesos.